Fred W. Aziz is Associate Director of Technology and E-Commerce at International Trade Administration, where he covers innovation sectors such as cloud computing, health IT, and software. Matthew Hein has been with the International Trade Administration for the past six years. He currently serves as an International Trade Specialist on the Pharmaceutical and Medical Devices Team in the Office of Health and Consumer Goods. Steve Miller is an International Trade Specialist in the International Trade Administration’s Office of Service Industries where he is responsible for knowledge economy issues including health services, research and development services, and university commercialization. On September 15, MAS Principal Deputy Assistant Secretary Maureen Smith led off the HIMSS Policy Summit with a speech highlighting the export potential of the Health Information Technology (Health IT) sector, and available Commerce resources to help with that effort. Through the MAS Health IT Team, which includes representatives from the Office of Health and Consumer Goods, the Office of Service Industries and the Office of Technology and E-Commerce, ITA has engaged HIMSS and other trade associations to share information on the National Export Initiative and learn of industry’s priorities. In addition to PDAS Smith’s address at the Policy Summit, MAS staffers Matt Hein and Steve Miller, spoke at HIMSS working group meetings, including the Diversity Business Roundtable and the Government Relations Roundtable. In all of these sessions, ITA staff placed an emphasis on collaborating with industry in all aspects of the export life cycle, from research and market intelligence, to export facilitation and advocacy to the resolution of commercial disputes. This engagement has been paying dividends, with Health IT firms increasingly engaged in commercial activities overseas. 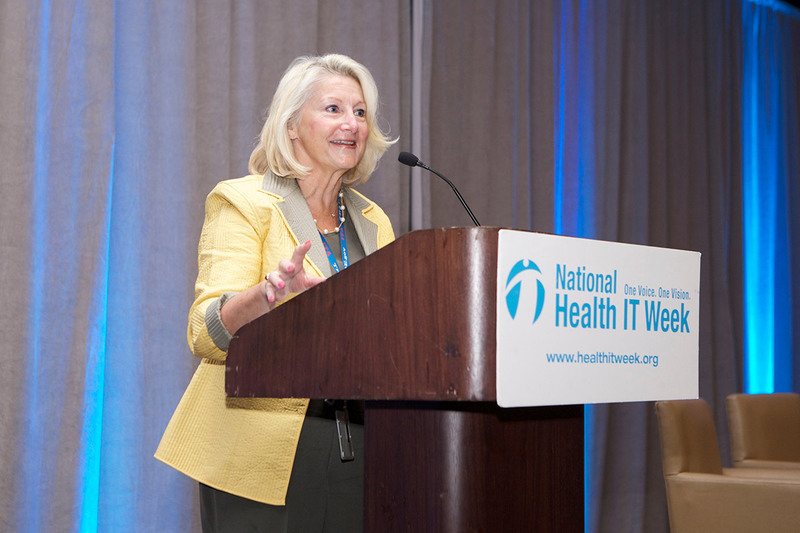 PDAS Smith’s address and ITA outreach coincided with National Health IT week, which also featured industry events and addresses by Administration and Congressional officials, along with a Presidential proclamation. As ITA moves forward on other initiatives in this space, the Health IT team is eager to hear from relevant firms and industry groups about their challenges and opportunities. For additional information please contact HealthIT@trade.gov.